Welcome to the photo tutorial blog post for one of my newest patterns for Cascade Yarns – the Esme Tunisian scarf. This scarf features Tunisian crochet, which is worked in two passes with no turning of the work. 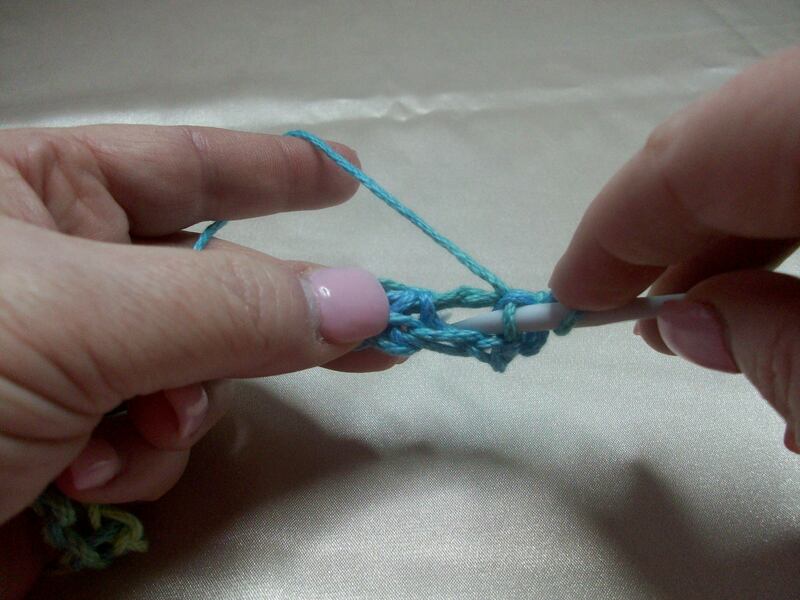 In the forward pass, you pick up the loops on your hook according to the stated pattern. 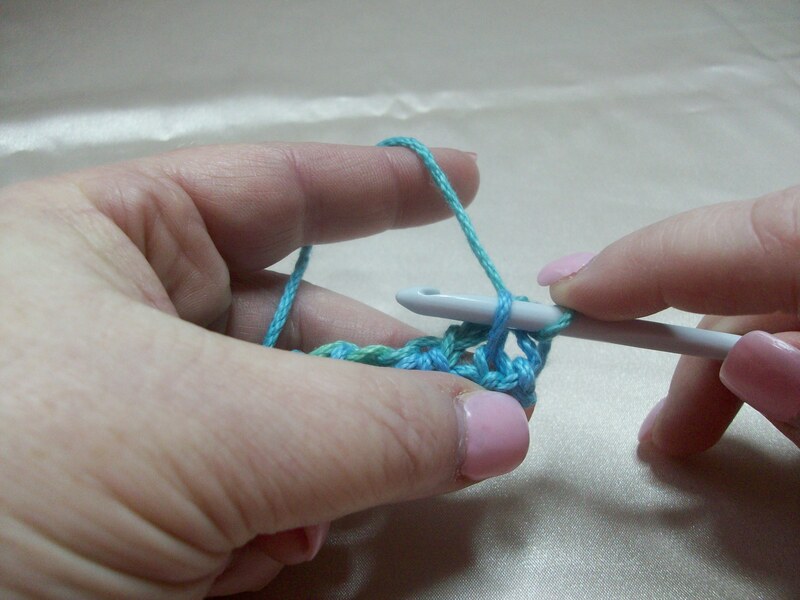 In the return pass, you work the loops off the hook, until you only have one loop left. This tutorial will help you with both passes. Please note: I am writing this tutorial with the expectation that you have the pattern from Cascade Yarns and so have the directions for the special stitches used. I will not be restating that info here. 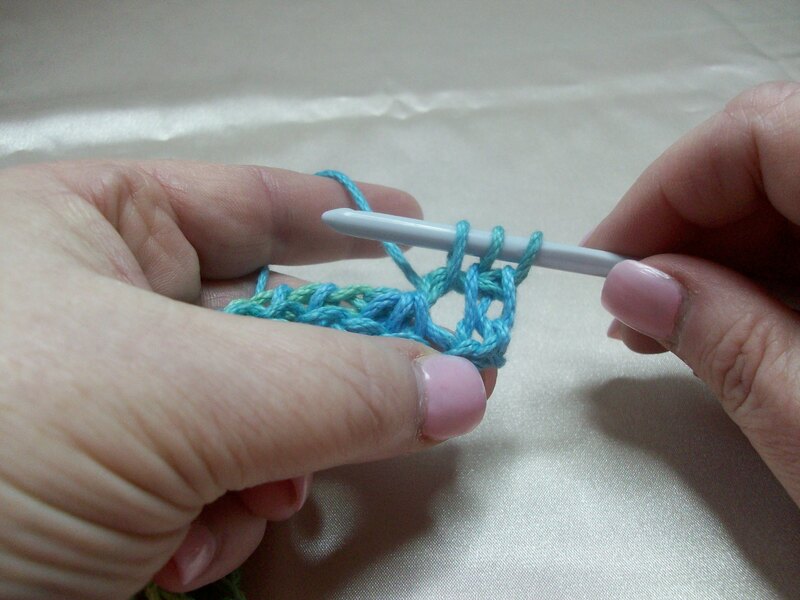 For Tunisian crochet, you will need a specialized hook – one without a thumb rest. The one I am using is made by Denise Interchangeable, but you can also find Tunisian hooks at your local craft store or local yarn store. Row 1 -Foward Pass: Going into the back bar of your chain, pull up a loop in the 2nd ch from the hook and in each ch across. Finished forward pass should look like the above picture. 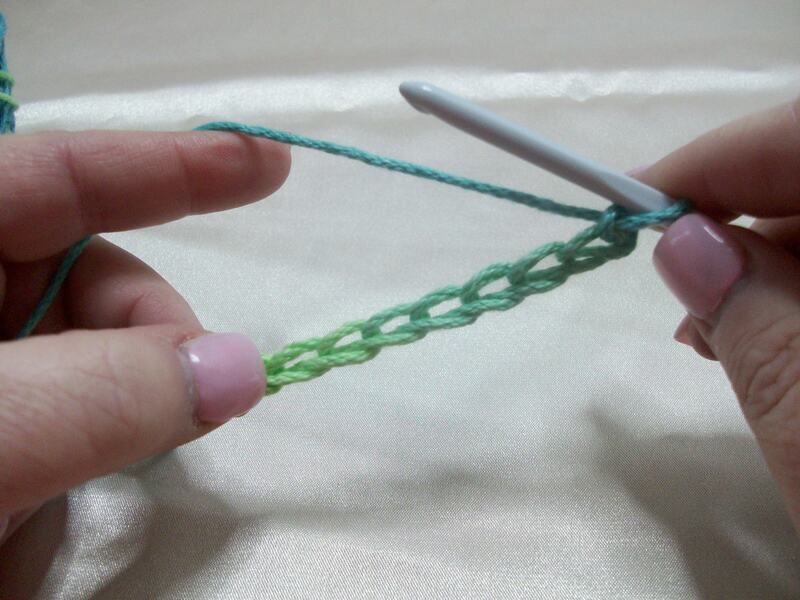 YO and pull through 2 loops on hook, (follow as stated on pattern for completion of row). 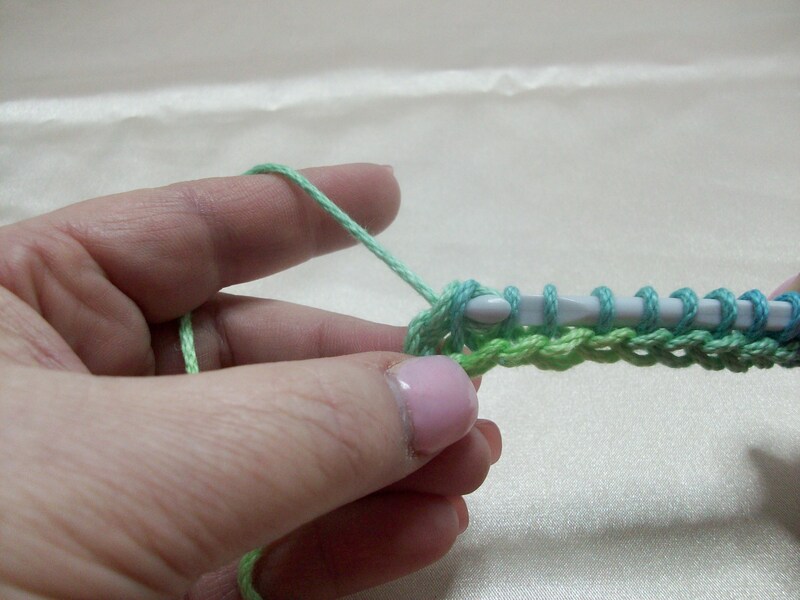 Insert hook into chain, picking up two bars of the chain and pull up a loop. Work Row 2 – Return Pass as stated in pattern. 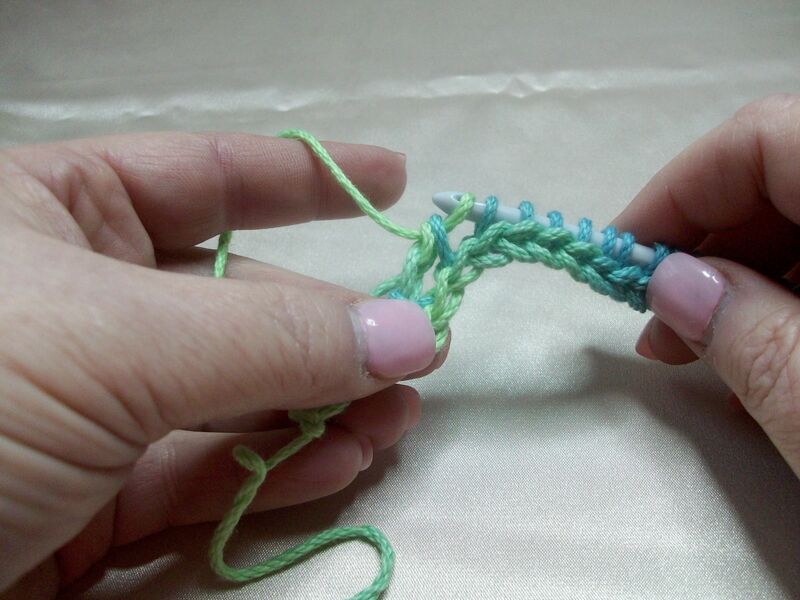 I hope this tutorial helped and that this pattern will encourage you to do more Tunisian stitch work. 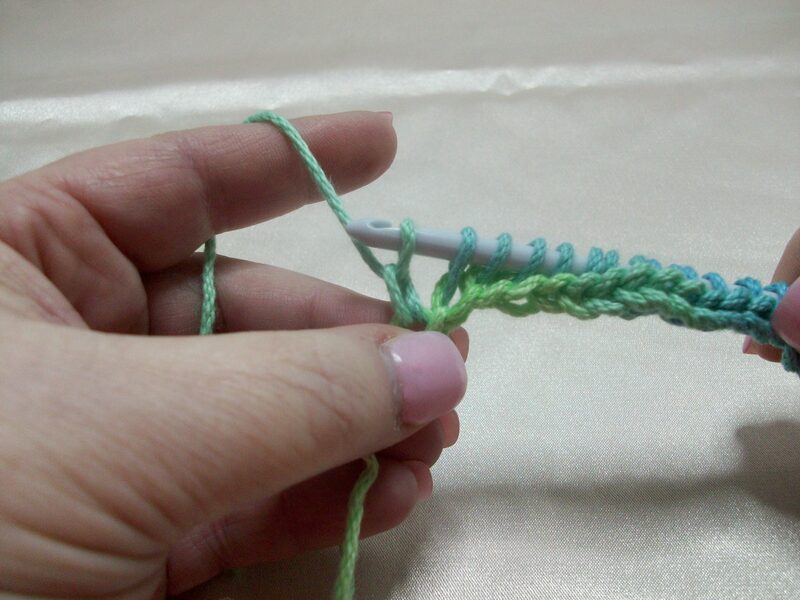 I can’t see which stitch then which loop and/or top of shell to go into? Is there a video tutorial available on this? Thank you. Unfortunately, I do not have a set up to record videos, so the photo tutorial is the best I can do. 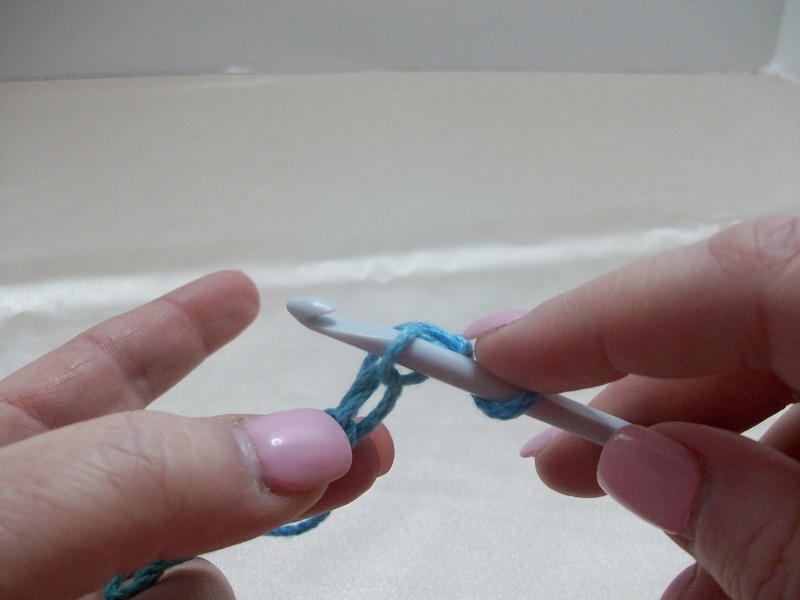 Have you ever worked Tunisian crochet before? 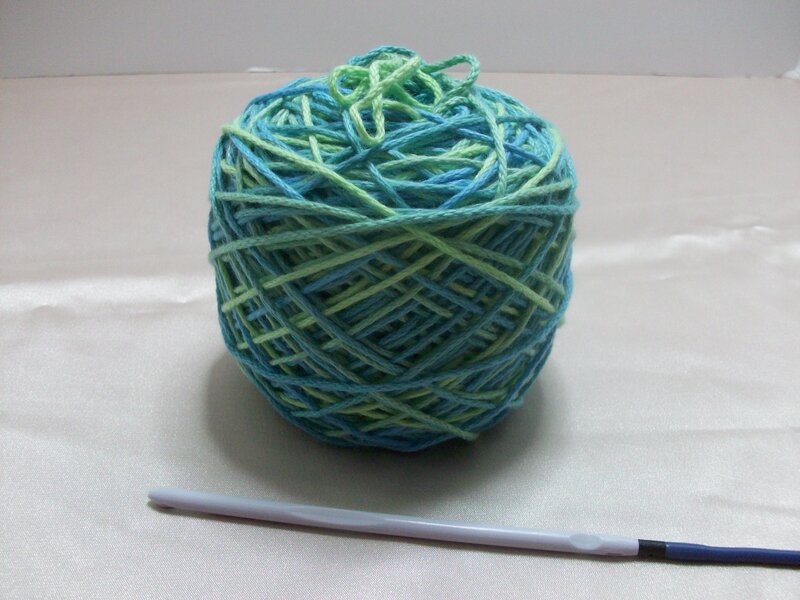 If not, I would do some practicing with the TSS in a swatch so you get used to going under the bar to pick up stitches and then working them off. 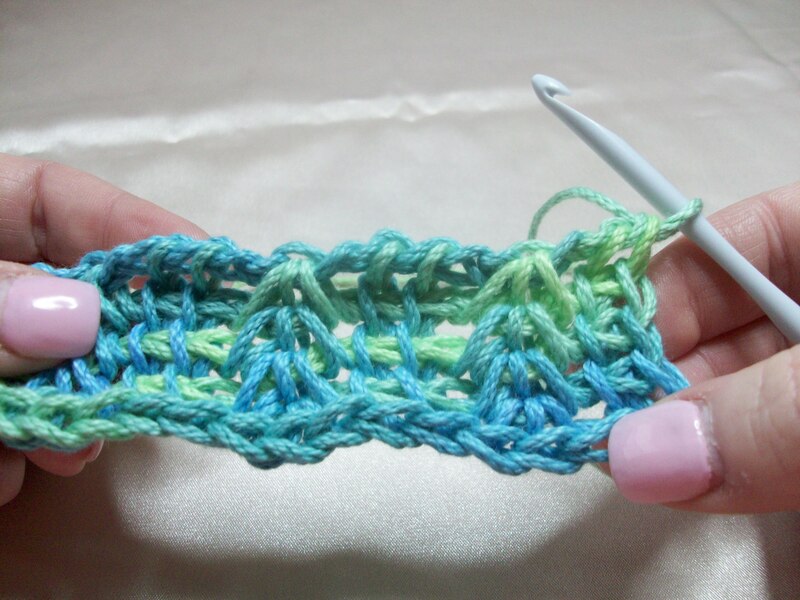 Once you get the hang of that, the pattern and photo tutorial may make more sense. 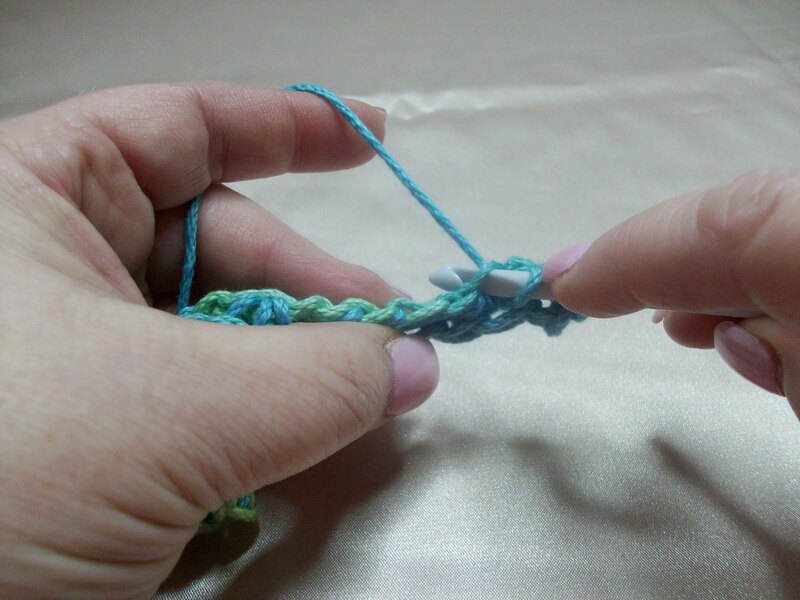 As for top of the shell, if you look at the top where the three loops are gathered, there is a bar across the top. You insert the hook under that bar to pick up the loop in the forward pass. I checked the tutorial to make sure the photo shows that as clearly as possible. Thank you very much for your reply….I’ll persevere….. The final photo is missing. It’s the one that shows inserting hook into chain and picking up two bars of the chain and pull up a loop. Is it still available? 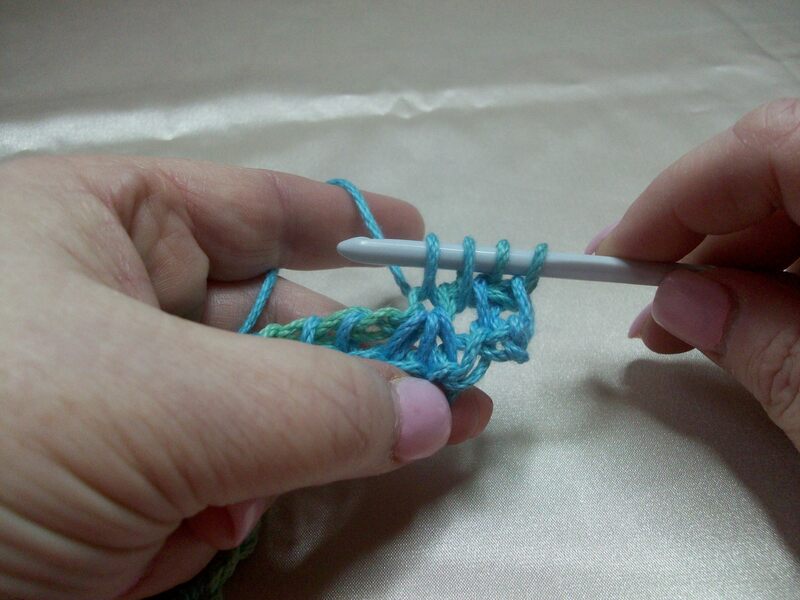 I have some experience with Tunisian crochet, but seem to be having issues this time. Thank you. The chain at the end of the row has three parts to it – the two legs that create the front or top of the chain, and the back bar. 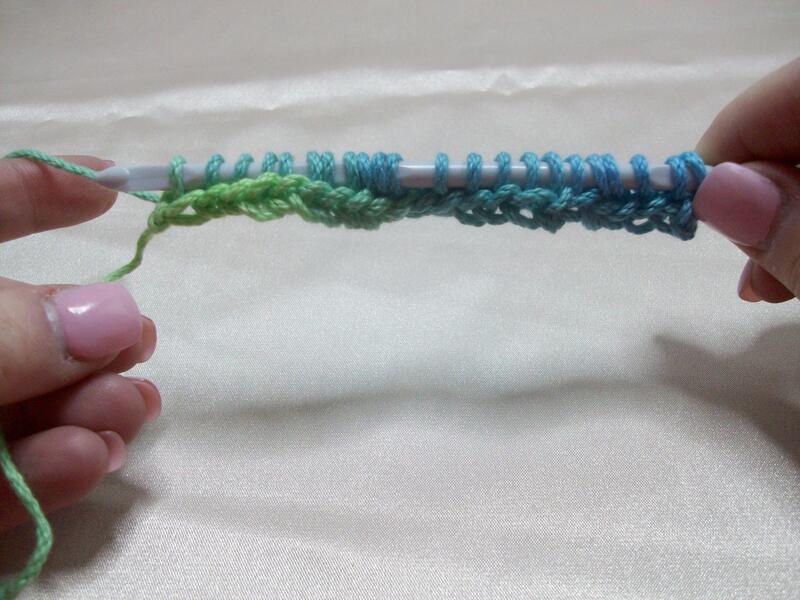 To end the row, you insert your hook under one of the front legs and the back bar and draw up a loop. 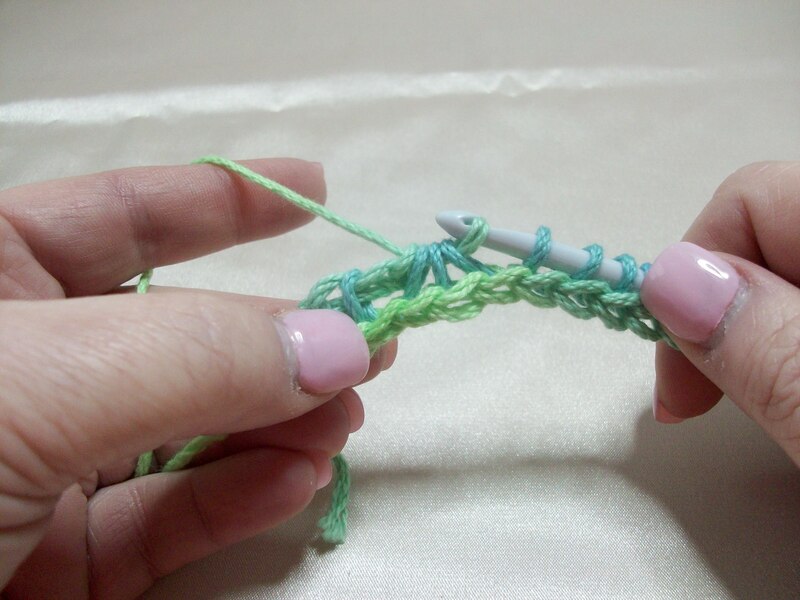 If you have trouble finding where to make that stitch when you finish a row, use a stitch marker to mark the placement and that should help you out. I don’t know what happened to the original picture, as it is showing me a broken link as well. I’ll do some research to find it again.